That’s something she said on Konusapi back in 2010. I wonder what she thinks about H!P nowadays with so many of the new debuting members originating from Kenshuusei. 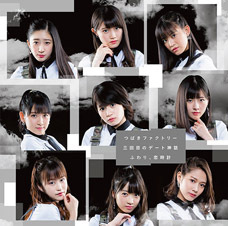 This was around the time 9th gen joined, right? I remember her saying that, too. No way. If you don’t have them go through a training period, you don’t know if they’re actually suitable for debuting. 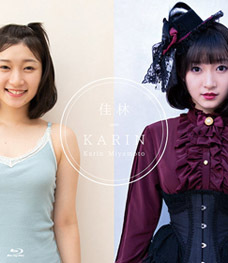 But even if you do, you’ll sometimes still have cases like those of Yuukarin and Sakichi, too. That seems like such a Michishige-like thing to say — considering her love for children who are still in the midst of that development. 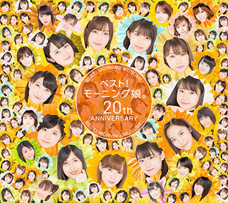 S/milage’s “Suki-chan,” Berryz Koubou’s “Maji Bomber! !“, and so on and so forth. 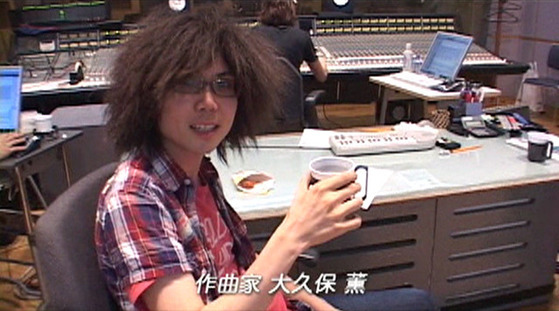 When the song calls for a band sound with loud guitars, Itagaki Yusuke is the man you want. A guitarist himself, what has he learned about individuality through working on so many different types of songs? — Please tell us how you first got started in music. Itagaki: Back in junior high school we were learning how to play the guitar in music class. It was just the classical guitar, but nevertheless, that was the first time in my life that I got to touch a guitar. Some of my classmates at the time happened to be playing the guitar as well, and I guess I was influenced by them because once I’d touched it, I just got completely hooked. Then I’d try forming bands with my friends… we were really into playing stuff like Bon Jovi, Aerosmith and Mr. Big, bands like that. — Were there any other bands you liked just as a listener, aside from the hard rock stuff? Itagaki: I listened to lots of the so-called “Being-era” ZARD and Oguro Maki. There was something very catchy about Oda Tetsuro’s melodies — something with his music just clicked with me. Whenever I’m working on idol songs, those sorts of melody lines just pop into my mind naturally. 1: 名無しさんた＠おーぷん 2015/07/16(木) 19:01:53 ID:??? Judging by her face alone though, she actually looks really strong-willed. Is she? She’s weak as a kitten. She must’ve been separated from the members she was most friendly with. She used to be more lively. 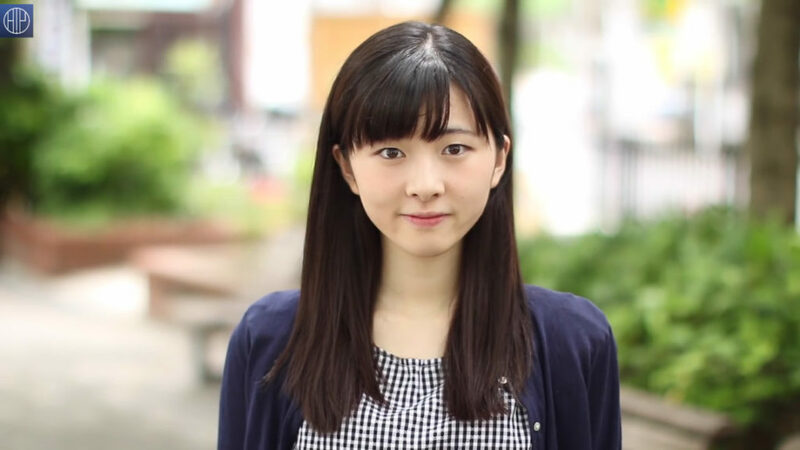 She’s so plain, and yet, so interesting — the definition of H!P. 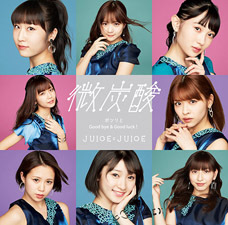 — You’ve just announced the second volume of your 4-disc compilation album Tsunku♂ Best Sakuhinshuu “Sharan Q ~ Morning Musume” commemorating your 15 years in the entertainment industry. How was it looking back on your work of the past 15 years? 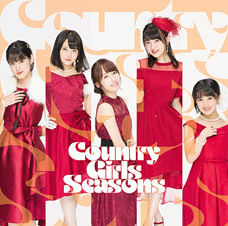 Tsunku♂: Well, there were over 1000 songs I had to choose from — even I found myself thinking “wow, I really wrote a lot.” But I have to say, having had the good luck of scoring many hits as well, compiling the hits among them made me feel the power of those songs rather than any nostalgia. At the end of the day, the hit songs are often the ones that sound the most complete. — How has your songwriting style changed over the years? 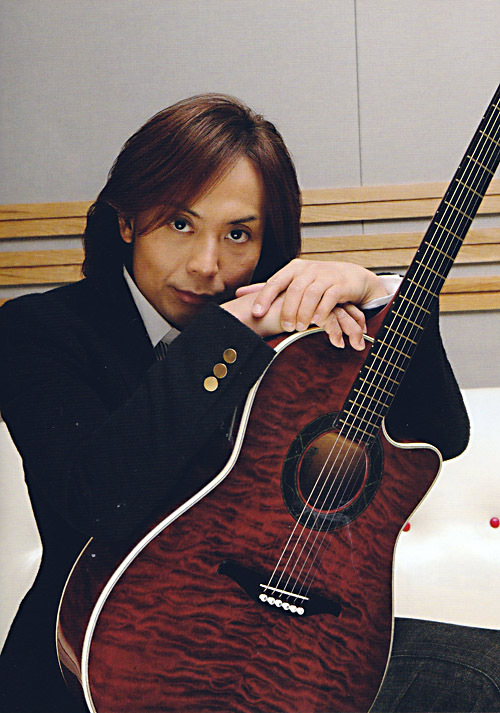 Tsunku♂: Taking that image I have in my head and turning it into a song is something I was much slower at doing when I was younger. I’d have trouble writing the chorus or I’d struggle with coming up with the right riffs or phrases. But as the years went by with me working as a professional, I got better and more efficient at it. Now there are times I’ll start by writing the chorus. That’s one concrete thing that’s changed about the way I work. — So could you walk us through your average songwriting process? How do you do it? Tsunku♂: Well, first I pick up a guitar and my portable recorder and record the idea I have so as to not forget it. Then I do a simple demo recording of the song by myself. Once I’ve nailed it down to my satisfaction, I give it to the staff and we do a basic arrangement of it. Then, once the song has taken shape, that’s when I hand it to the arranger. 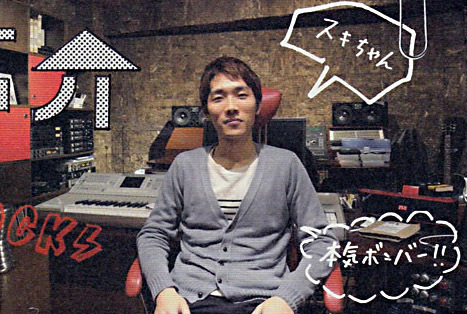 One of the key personnel behind Morning Musume’s EDM style ever since “One Two Three” — Ookubo Kaoru. It would be fair to call him one of the driving forces of Hello! Project today. But how exactly does he come up with those arrangements of his that are full of daring, deeply rich ideas? In this interview, we dig deep into the secrets of this talented craftsman! The first part of this interview was conducted for CD Journal magazine (2012 April issue) at the beginning of 2012, with a follow-up interview done in August 2013. — How did you initially come to be working with Hello! Project? 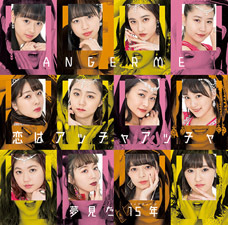 Ookubo: It all started with my manager receiving a message along the lines of “do you have anyone working for you who knows how to do arrangements?” I think the first song I worked on was Morning Musume’s “Mushoku Toumei na Mama de” (from Rainbow 7, their 7th album, released in 2006). Manager: You forgot about the song you did in 2002 for Shinsaku Doyou Pops 1 before I became your manager (the arrangement on “Asa Hiru Yoru no Uta“). Why is Kamei Eri still so well-loved today? Is it because she had the looks, because her singing and dancing was good, and because she was so stylish? Is that why she’s still so well-liked by wota? Because she was so normal. And so cute. Because she always gave everything her all. Because she had such a great voice. I guess it’s her way of life.